Putting up your make-up properly is an important part of beauty treatment. It increases a women’s appeal, emphasises her femininity. It is an essential ingredient for achieving a harmonius look, which in turn promises internal merits as well. your whole look, it creates unity and makes you radiate. Our face is much more talkative than we would think. Let it be a busniness meeting, an interview for a job, visiting relatives, or simply a casual conversation with your friends, it is relevant what kind of impact it makes on others and how it supports your appearance. And we haven’t even touched upon the most significant events in our life, for instance, a rendezvous, weddings, and other occasions. Therefore, our face is a crucial factor in terms of how others perceive us, not to mention, our overall impression we make on them. Within the framework of make up guidance anyone is able to master how to make herself to be seen by others in her most advantageous way. You will learn how you can accentuate the most favourable and most beautiful features of your face, as well as how to subtly hide those parts, that you may find slightly unflattering. 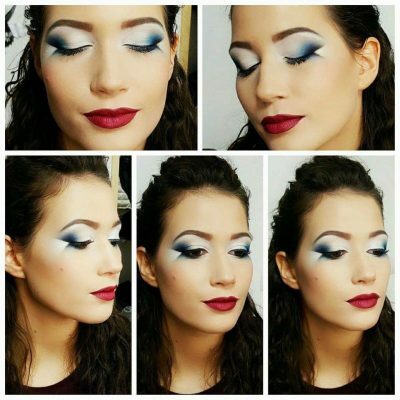 According to your needs we can learn how to put on a tasteful make-up that suits your every-day life. Moreover, how to turn it into the one, you would even wear on a special occassion. If there is demand for it, we could even learn how to make a little bit more serious, more elegant make-ups for special occassions or more emphatic, wilder ones, that suits you perfectly for the parties. The courses are personal but it is possible to assemble in little groups as well. Its time span may vary depending on the requirements. I am warmly inviting mother-daugther cuuples as well as friends to spend a pleasant couple of hours, enjoying ourselves. The friendly atmosphere and meaningful, quality time is guranteed!